HeartsHerd Animal Sanctuary and Rescue Center is a 501C3 non-profit organization located on 21.75 acres of beautiful property in Buskirk, NY. Tending to a variety of animals who have lost their owners, run their course for their owner’s purpose, or just plain ol’ need love – our Herd continues to grow. Click here to view all of our adoptable pets at once. Click on the pet’s name below for more details. Application Form to foster/adopt our pets. SPECIAL REPORT: Featuring our latest additions to the sanctuary, Ollie and Sunny! 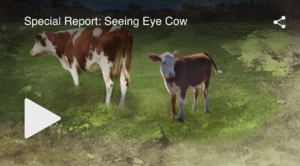 Read their mooo-ving story about how Sunny became Ollie’s “seeing eye cow”! Donate safely and easily to help any of our domestic or farm animals in need. 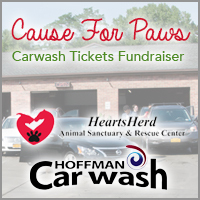 Learn how you can help by participating in our fundraisers, volunteering or donating.